Kroeker Farms is growing an increasingly wide selection of certified organic produce right here in Southern Manitoba. At the Potato Store, we are dedicated to providing our customers with fresh, wholesome produce. We proudly support our neighboring small farms, providing our customers with produce that carries high standards of Manitoba grown quality and freshness. Can’t find it at your local store? Ask for Adora at your local grocer. Kroeker Farms’ very own store in Winkler, Manitoba, serves up fresh, local produce all year long. Peak of the Market branded Kroeker potatoes and onions. Quality Kroeker Farms organic produce delivered to the Winnipeg area. A grower-owned “not for profit” vegetable supplier. Peak of the Market operates in Manitoba and distributes the full range of Kroeker Farms products. EarthFresh is a Canadian market leader with the largest stock of exclusive potato varieties in North America. 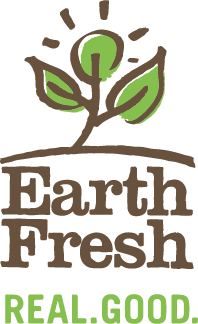 Specializing in supplying the food service and retail industries with premium potatoes and onions, Earth Fresh is partnering with Kroeker Farms to deliver on our united vision of feeding more using less by focusing on protecting and preserving our natural resources. Naleway Foods is the largest processor of perogies in Canada. They also produce a wide range of private label and branded products in the frozen food sector.